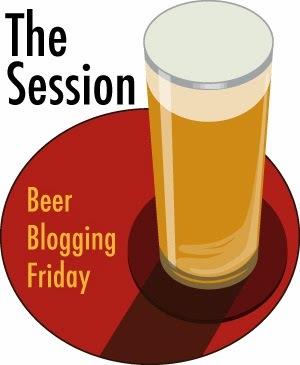 In this 98th edition of The Session, Nathan over on MicroBrewr asks us to discuss beer packaging. Cans or Bottles specifically. Which is better? Does it matter? Well, who actually cares and why? For that, we have to go back a bit. When the craft beer scene around the world was really picking up in the late 90s and early to mid 00s, there was a clear perception that any beer that came in a can was rubbish. Why? Because it was the packaging of choice for most macro breweries and they didn't produce anything worth drinking for craft beer drinkers. Sure, most of these macros also produced bottled beer but that was overlooked. Craft beer only came in bottles, probably because canning lines were more expensive at the time. They probably still are actually. Things started to change when Colorado brewery; Oskar Blues produced the first craft beer in a can. That was in 2002 I believe. In 2004 I married a girl from Michigan and I discovered craft beer in the form of Bell's Oberon while visiting so craft cans have been around longer than I have been drinking craft beer. It took a long time for this side of the Atlantic to catch on but a number of UK breweries have since started to can. Brewdog were possibly the first and since then Beavertown and Adnams among others have made the change. 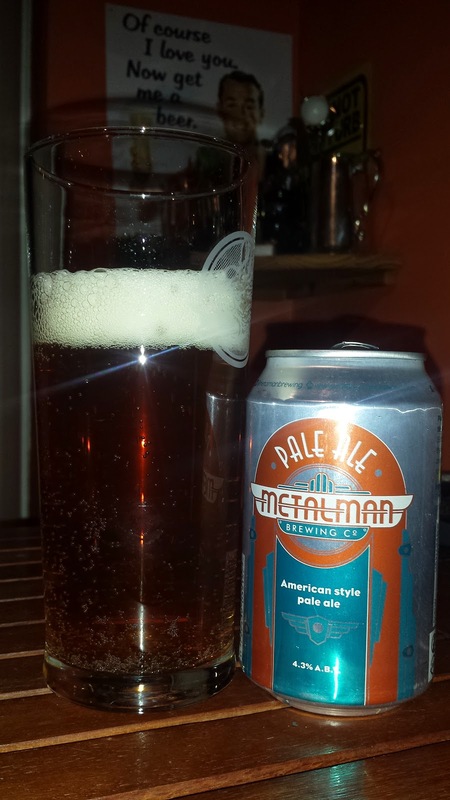 In Ireland, we got our first Irish micro-brewery canned beer from Metalman just a few short months ago. The can itself looks brilliant, it makes use of their logo and style brilliantly. It might not stand out quite as much as the brilliant Beavertown artwork but it does stand out. Up until they got the canning line, Metalman was only available in draught. I'm not going to talk about the beer inside the can because it tastes the same as the draught version, just slightly less carbonated in the first batch, something that will be addressed and it really doesn't detract from it anyway. I'm going to list some Pros and Cons of canned beer. Lighter, stackable, safer, whole area can be used for info rather than what fits on a label, can be placed in a recycling bin*, unaffected by light, better seal=fresher product, cheaper shipping. Misplaced stigma, probably not advisable to age beer in**. Well, that looks very positive for cans. If I do the same for bottles? Aesthetically pleasing, can be re-used by home brewers, good for cellaring beer**. Cons: Heavy, dangerous (breakable), stack-ability is limited, more expensive shipping, cap seal can fail, light can get in to varying degrees depending on the colour. Reading it like that, it sounds like the can is the clear winner. It has more pros than cons but it's not that simple. If you note the asterisks, I have some things to say on those ones in particular. * Recycling: Cans are easier to recycle for the consumer because they can be placed in your recycling bin. Glass bottles can't in Ireland, they must be brought to the bottle bank. This usually means driving unless you live a few minutes walk from a recycling area. Driving to a bottle bank uses fuel and so on. ** Metal lining: cans are either made out of aluminium or a mix of steel and aluminium. Exposing liquid to these metals would result in oxidisation the materiel itself. This in turn wouldn't be much good for the contents. To get past this, cans are lined with a plastic coating. This plastic coating does not last forever and can fail entirely. This usually ruins the contents. Also, the coating is made of toxic materials. Usually it's in such a small dose that it's harmless but it's something to be aware of and over time, exposure could be problematic. Possible health risks aside, I still think cans are the better form of packaging for fresh beer. Lagers, pale ales etc are fine from a can. Just consume as soon as possible. They are especially good for fresh hop forward beers like IPAs as the hop aromas and flavours will be as fresh as possible if consumed within a couple of months of packaging. One other thing, you might wonder about bottle conditioning. Can you condition in a can? Yes you can. I have had New Belgium's Fat Tire in the can and it's can conditioned. The bottled version isn't and it's not as good either. Old ales, imperial stouts or pretty much anything you might like to cellar for a few months/years should only come in a bottle and not a can in my opinion. Actually, the first canned craft beer in the United States was Pete's Wicked Ale, mainly for serving on airplanes. Dale Katechis of Oscar Blues actually consulted with Peter Slosberg of Pete's Wicked Ales before decided to brew beer in cans. Oscar Blue's was involved in a lot of innovations in small scale automated production to make canned beer within financial reach of small breweries but they were not the first to do so. Interesting, hadn't heard of them before.